But I guess that’s just lecturing eh? Like a throat cancer patient smoking a ciggie through their tracheotomy, Tone continued bumbling around in the muck, defending cuts to federal funding which seem set to force the closure of 150 remote indigenous communities in WA, claiming these communities were a “lifestyle choice.” Maybe it’s just me, but watching cricket, barbecues, draping yourself in a cheap Australian flag made by children in the developing world (things T probably considers cornerstones of “Aussie culture”) seem to be lifestyle choices. Attempting to stay in touch with and preserve a 50,000-year-old culture that white Australia has historically done everything to destroy (and arguably continues to) is not so much. But what do I know? I’m just a middle class white dude. I only wish (rather futilely) Tone might have the same revelation from time to time. Elsewhere in WA “lifestyle” news, Liberal state backbencher Peter Abetz (brother of federal senator Eric) has labelled an anti-LGBTI bullying campaign “little more than a gay, lesbian, transgender lifestyle promotion program” (I’ll let that one hang in the air like a bad fart). Whatever one thinks about the Abetz brothers, at least they aren’t as bad as their great uncle, Otto. Though if Juan Mendez is to be believed, Eric is trying his hardest. Most of all, I can’t help but wonder where such a self-described “humanitarian” party opposed to lecturing gets off on lecturing marginalised communities trying to protect themselves. Lastly this week, Melbourne teenager and IS recruit, Jake Bilardi, allegedly killed himself in a suicide bombing in Iraq. 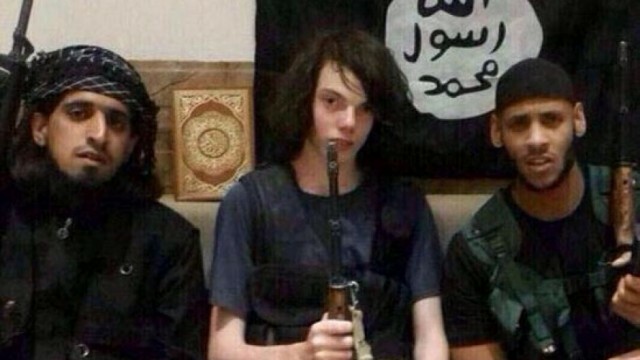 It seems before leaving Australia and joining IS, Bilardi also considered carrying out attacks in Melbourne. Blog posts attributed to him suggest that the path which eventually lead to his radicalisation started with a keen interest in global politics and exasperation with the distortion and injustices committed in the name of western democracy. Though Muslim teenagers, due to some factors, may be particularly susceptible to the alienation and disillusionment which can lead to radicalisation, Jake Bilardi (a self described “atheist” with no previous cultural ties to Islam before his embrace of IS) and his journey seem to suggest even further that painting such issues as simplistically as many of our politicians seem happy to is exactly the kind of distortion that acts as one of their root causes. While I have no time for the eventual politics or actions of Jake Bilardi, due to the all the time I spend with Tone, Short William and co for this column (and evidently some subconscious masochism), the base disillusionment is something I can relate to. I’ll see you all next week for some more “base insults”, as my biggest fans describe them. That’s definitely a fair point and something I’ll bear in mind in the future. Thanks again for the support Rainer. Ha, I like a largh more than anything else, considering this world we live in. Still, without wanting to take your fun away, reacting like this may also be interpreted as a sign that your critics’ got to you, in a funny way. Personally, considering your astute observations of the farce we get dished up daily, I wouldn’t give them that satisfaction. Just saying Micheal, keep up the good work! As always, well written, informative and humorous. One of my favourite TBS regulars and a great way to start Sundays. But man, two references to last weeks criticism? That a wee bit pedantic, wouldn’t you say.